Kubang Kerian is one of the key growth district within Kota Bahru in Kelantan. 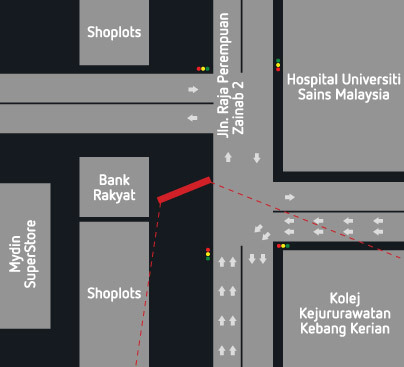 The screen is located at the T traffic junction between Jalan Raja Perempuan Zainab 2 and the main road in & out of Hospital University Sains Malaysia. The location is right opposite the University and on the road leading to the largest Mydin Super Store in Kelantan.